Bahubali 2 Box Office Collection 7th / 8th Day Baahubali 2 1st Week / 7 / 8 Days Collections: SS Rajamouli and Prabhas Baahubali just shattered every single record in Indian History. The film’s box office just outranked Aamir Khan’s PK box office collections by 65 crore rupees within a week of release. Going as per our predictions, Baahubali 2 collections are definitely going to touch the mark of 1100 crore lifetime earnings. Here we are with the most exclusive and recent update about Bahubali 2 collections. The film is doing much better business than anyone’s imagination. Movie minted out more than 350 crore rupees during the first weekend itself which indicated the high chances of being a super-duper hit on the box office. As the final report of Bahubali 2 1st week collection arrived, we are thrilled to see how the movie made more than 665 crore rupees in period of a week only. Earlier the highest grosser of Bollywood was hold by PK of Aamir Khan post release in Chinese Market. PK minted out 600 crore rupees worldwide as its lifetime earnings after releasing in many countries post initial release. However, with Baahubali 2 7th day Earnings, the indomitable target for Bollywood has been defined in the industry. Having a producer Karan Johar attached with the film have somehow helped Bahubali 2 to have a grip over the Hindi audience unlike in the first version of the film. Baahubali producers have already earned every penny spent even before the release of film across the country. Earnings from rights selling and other distributor profits already totalled to 500 crores and this is the amount Baahubali earned even before release. 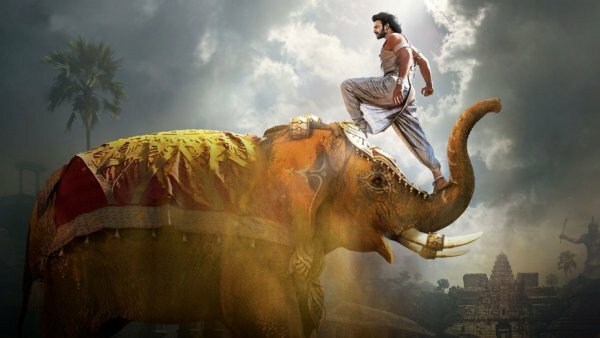 Bahubali 2 1st Weekend Collection: During the first weekend, Bahubali was successful in minting out 360 crore rupees. The figure is anytime biggest in entire Indian history. For the first time, a film is able to cross 300 crore mark within the first weekend of release. It becomes the number 1 in the list of highest grosser of all time in Indian cinema. It’s hard for any Bollywood star to cross the record of Baahubali. Most of the Bollywood films usually gets remake from Tollywood and this makes implication on collections as well. The decision of releasing film in Pakistan is reserved with Karan Johar and team. It appears Indian producers are not in favour of releasing it in the neighbour country because of territorial and political disputes. Baahubali 2 became the highest grossing Indian film ever with worldwide gross of approx ₹800 crore (₹8.00 billion) in all languages in just six days, surpassing PK worldwide gross of ₹ 792 crore.